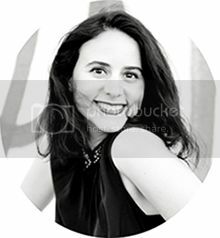 Paula Pascual: Blog Candy! 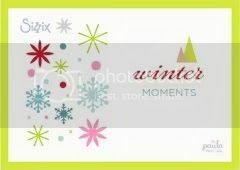 the whole Winter Moments Collection! Blog Candy! 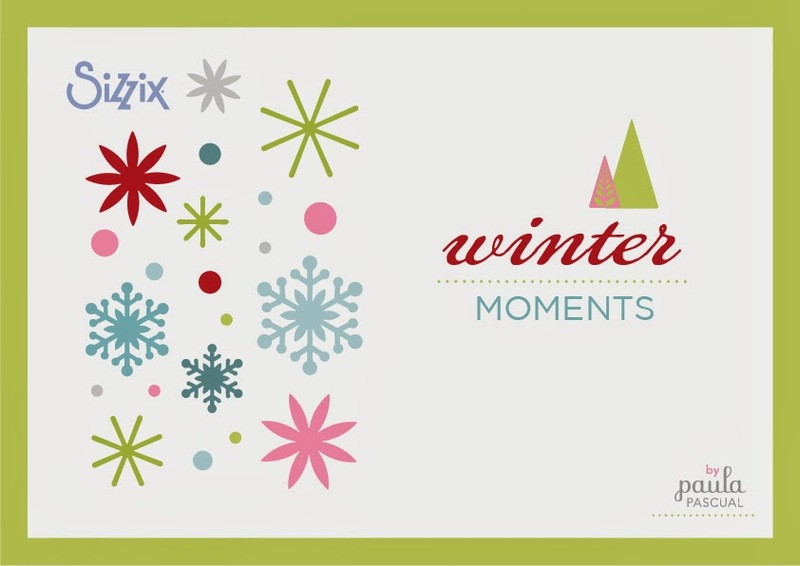 the whole Winter Moments Collection! This post will be at the top of the blog until the 7th of october. Please scroll down for more recent entries. Thank you! Today it's a very exciting day. 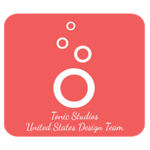 For the first time ever, I am doing blog candy! Many times I have though about doing one but never found the right time and energy to do so. 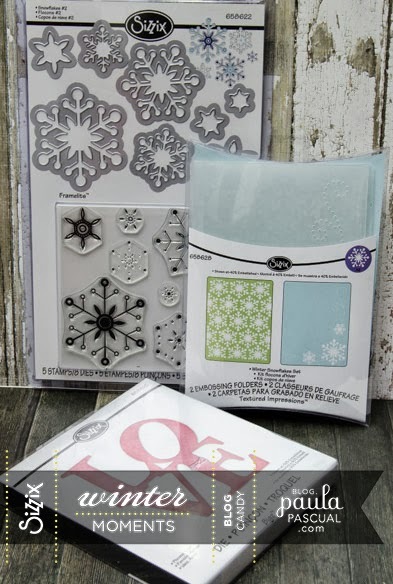 But I have been given a full Winter Moments collection - yes all of the dies, embossing folders and stamps! However, you can still win them all fourteen dies if you do all four things listed bellow! Here is how, if you do one of the following you will eligible to win one of the blog candy sets, but if you do all four things bellow, you will be eligible all four prizes! Follow me on Pinterest (all boards)! If you already follow me on all four mediums, you already are eligible for all of those! So, actually, five prizes in total! 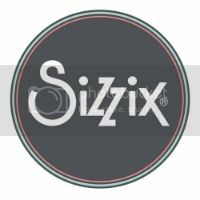 And, while the collection is exclusive to European shops as per Sizzix norms, this competition is open to anyone anywhere! This may be the only chance to get these products for some. The competition will end on Monday the 7th of October at 23:59. The winners will be announced on this blog on Wednesday the 9th of October. If you are a winner, you will need to email me within two days with your postal address. Parcels to be sent out on Saturday 12th of October. One comment per person. As I need to review them, don't worry if you press twice or you don't see immediately. what a fabulous collection of dies. I've followed you at all 4 locations, and was new to Bloglovin, thanks for the introduction. What great blog candy! I did all the four things, thanks for the chances at winning! Wow. 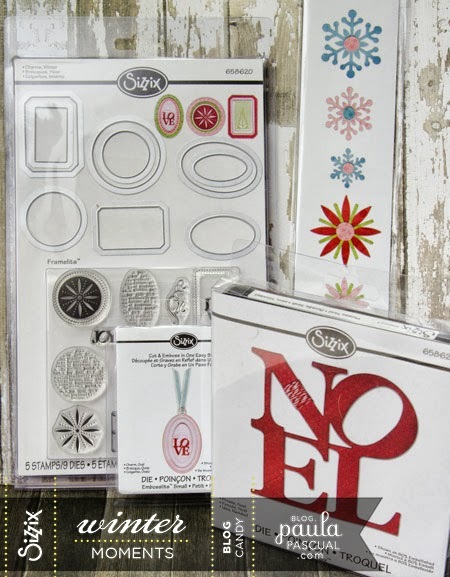 I love my big shot and sizzix dies so would to love this. Also the draw is on my birthday - 8th october. WOW, Christmas comes early for some! Thanks for opportunity to win one of your stunning sets! Ha, StitchSpice! Oct 8 is my birthday too! I'm crossing everything would love to win any of the five prizes! Hi Paula-following you on all 4.I am a Scorpio and I have got a big birthday this month-this would be a lovely present to receive so I have got every thing crossed. This is the best blog candy I have ever seen you are so good to us. Wow what a collection of prizes ! Lovely candy! :) It'll be amazing to win it! Gracias por la oportunidad, me encanta tu blog, y los troqueles de tu línea son alucinantes. Thais and i Will very happy for the oportunity. Sigue inspirando nos con tus creaciones. Acabo de conocer ahora mismo tu blog, pero que sepas que ya tienes una seguidora mas!! Que montón de premios!!! Haber si tengo un poco de suerte!! gracias por el sorteo!!!! son unos regalos maravillosos. It's a great contest. Forgive my terrible English. Seguí todos los pasos, pues el regalo lo merece. Gracias por esta oportunidad. Hasta hoy no te conocía, pero ya tienes una seguidora mas!! Y que montón de premios!! Haber si tengo suerte!! WOW!! What an amazing giveaway Paula. I love your products, I have in fact just used one of your Christmas Messages Sentiments on my card which will be going onto my blog tomorrow! I have liked your page and follow your pinterest boards and on Bloglovin too. Unfortunately I am not on Twitter so cannot do that one! Fabulosos premios, no se puede dejar pasar esta opurtunidad, esta todo genial. Me acaban de regalar una Big Shot así que esos troqueles me vendrían de maravilla. ; te sigo por Blogloving, Pinterest, Facebook y también tu blog. ¡¡Ojalá me toque a mi! Quiero entrar en el sorteo!!! 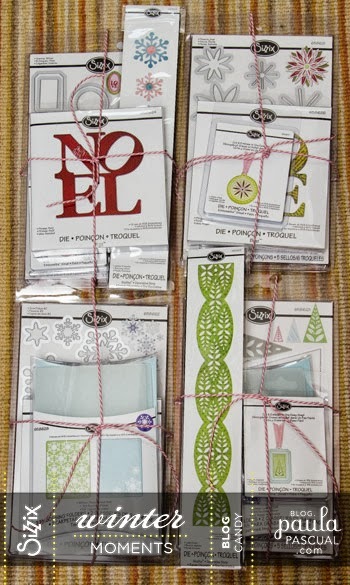 Wow...this is such a generous blog candy and loving Sizzix as much as I do, I would love to win one of these sets! Thank you Paula, I'll keep my fingers crossed! Thank you so much for this exciting Blog Candy!! I applied for all 4 haha I couldn't resist, it's incredible! WOW Paula you blog candy is amazing, I already follow you blog religiously but have added you on, flickr, facebook and pinterest. Not sure why I haven't done it already..
Vaya trabajos mas maravillosos, gracias por compartirlo con nosotras!! Precioso sorteo, gracias por la oportunidad. Acabo de conocer el blog y ya estoy enganchada! y menudo sorteo!! Muchas gracias! Increíble!!! Me encantan todos y me fascinan especialmente el Home y Noel. Ya tienes una seguidora más en las cuatro redes. Gracias!!! Como voy a disfrutar utilizandolos si me toca. Many thanks for such a great opportunity to win such delicious goodies! I've made sure all 4 criteria are met ... it took a long time as I got sidetracked looking at the pretties as I went!!! OMG!! thanks for the chance to win this great prize. Gracias por la oportunidad de participar en este sorteo!!!!! Gracias por la oportunidad de participar en este premio! Me encantan toodos los premios que has preparado para este Candy... creo que lo he hecho bien y te sigo en todo y por todos lados! A ver si hay suerte... y vaya diseños tan xulos madre mía... Alea yacta est! Maravilloso!! son preciosos!!! sería fantástico poder hacer scrap con todo ese material, alucinante!! Un día encontré tu página y descubrí que tenía algunos de tus troqueles. Me encantan tus diseños. A ver si tengo suerte y me toca. Hice todos los pasos, me encanta el sorteo, está hermoso todo. Muchísimas gracias por la oportunidad de ganar!! No tengo la BIG SHOOT però igualmente me parece genial toda la colección. Me encantaria usarla para decorar mis navidades! Guau!!! Cuantas cosas!!! Me encanta el blog..ya te sigo por todas partes a ver si hay suerte y me toca alguno de esos fantasticos sets que has preparado! Saludos y muchas gracias por el sorteo!! Already following you on all except Twitter. What a fabulous set of prizes. Me encantan los premios!! Gracias por el sorteo!! Wow!! Qué súper kits!! Me acabo de hacer seguidora de todo!! Me encantará seguirte de cerca, independientemente del sorteo!! Un beso swettie! Te hemos descubierto a través de 'Pega, papel y tijeras', nos encanta este mundo de manualidades y participamos, como Vanessa Lorente en fb y twitter y como In a Trendy Town en bloglovin, gfc y twitter, pero pinteres no tenemos! Following on Bloglovin, so I have chance to win there! 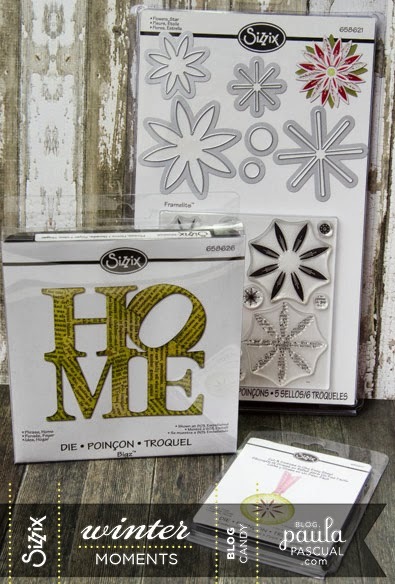 I have the 'Home' die already and plan to make some framed gifts for Christmas. Thanks for the chance to win some great candy. This is truly a great candy! I'm an ol' bloglovin' follower, and now I follow you on Twitter and Pinterest as well. And of course I liked your page! Te sigo en facebook y en pinterest. Uauuu! Qué pasada de sorteo! Ya tienes una seguidora más. Woww!! it's fantastic!! i love it!! I follow you in facebook, pinterest and blogovin, i'm from spain. Good luck to all!! Very generous giveaway of some great products! Thanks. Que sorteo más fabuloso. Thank you. Grácias por el sorteo!! me encanta todo!! Me encantan los 4! Gracias por el sorteo! Me encanta todo lo que haces. Gracias por este magnífico sorteo. Wow what an amazing blog candy bunch! Fantastic! Muchas gracias por este magnifico sorteo!! Me encantan tus diseños! Acabo de descubrir tus troquelles y juegos de sellos y me encantan de verdad que tu trabajo es genial. Ojala consiguiera alguno. Yo quiero un regalo! Besos, eres genial. Son realmente preciosos. Una maravilla. wooow!! Pedazo candy, me muerooo y necesito el troquel de Love o el de Home. Y sí, es por culpa de Elena de Pega Papel o tijeras y ese cuadro tan maravilloso que hizo! Hi Paula! I follow you from Italy and I love your tutorials and hope to win some of your giveaway!!! Me encantaron las flores y mariposas que enseñabas en Creativa Madrid el año pasado. Estas nuevas colecciones son preciosas también. I just found this blog of yours today! 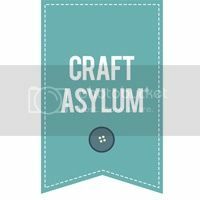 I have followed your Crafty Storage blog for years - but how wonderful to have more opportunities to learn from you! I don't know if US entries count, but heck, it's worth a shot! 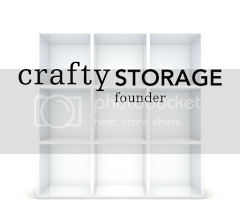 Your crafty storage blog has always been a great source of inspiration! Me encantas y lo sabes!!! poco mas puedo decirte más que ojala tenga la suerte de ganar alguno de tus productos!! What great candy. Was lovely to see you in Burgess Hil the other day and thanks for the tips. Off to make sure I am in it to win it. New blog post at Sizzix Eu blog!